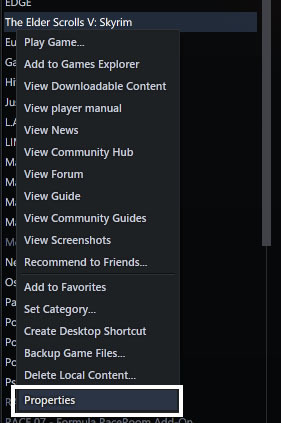 Screenshot of the Right-Click menu used for demonstrating the process of adding launch options to the Steam copy of SC4. If this is a screenshot of free software (GPL, BSD, etc.) do not use this template! Use the license tag that correspond to the license instead. This page was last modified on 8 February 2013, at 06:57.